If you would like to support the work of the Elks Home Service Program, you may donate online using the button below. PA Elks Major Projects, Inc. If you belong to an Elks Lodge or have one nearby, please let us know the name and/or number of the lodge. The official registration and financial information for PA Elks Major Projects, Inc. can be obtained from the PA Department of State, by calling toll-free within PA: 1-800-732-0999. 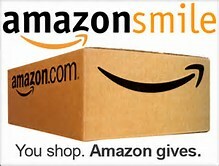 If you buy through Amazon, you can go to smile.amazon.com to make your purchases, and Amazon will donate .5% of each purchase to help us help others. Please select Pennsylvania Elks Major Projects as your charity to support.